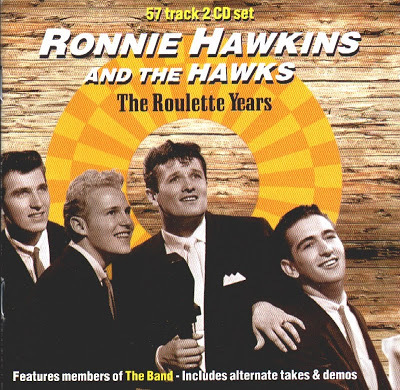 Ronnie Hawkins is a rockabilly singer who formed his original backing band, the Hawks, while attending the University of Arkansas. After auditioning unsuccessfully for Sun in 1957, he started working regularly in Canada the following year, eventually taking up permanent residence there. 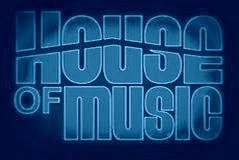 After one release on the Canadian Quality label, he signed with Roulette in New York in 1959, having hits with "Forty Days" and "Mary Lou." 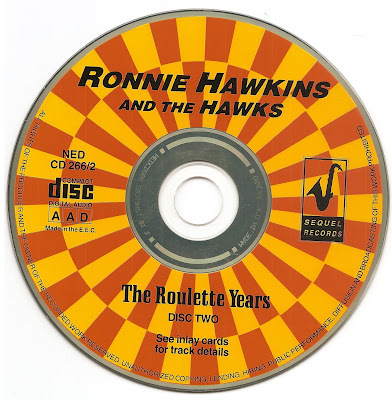 The live fervor of Hawkins (known as Mr. Dynamo) and the Hawks' show continued in Canada after all the original members except Levon Helm headed back to the U.S. Hawkins quickly hired Canadian players Robbie Robertson, Garth Hudson, Rick Danko, and Richard Manuel as the new Hawks. They stayed with him until 1963, but later became Bob Dylan's backing group and went on to a career of their own as the Band. 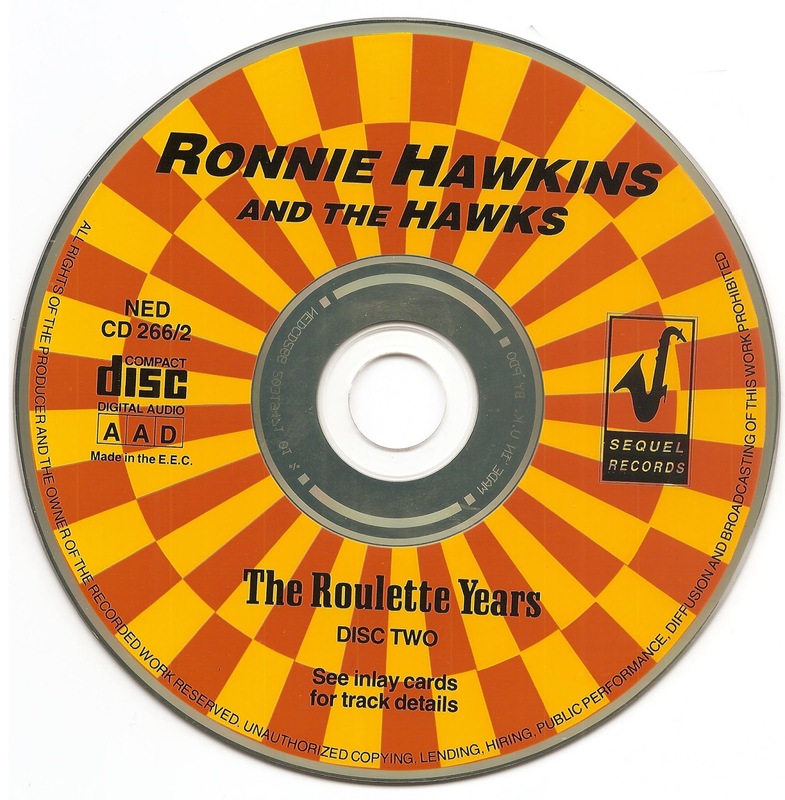 Hawkins has remained a legend in Canada, recording unrepentant rockabilly sides and gigging constantly. He's still the original Mr. Dynamo, capable of shaking the walls down any old time he feels like it. 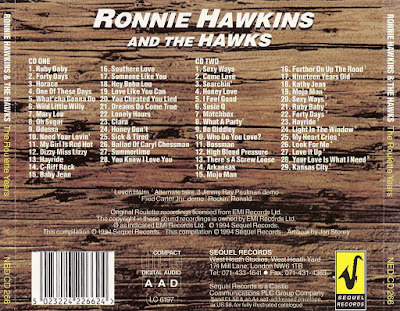 This 57-track double-CD set seems like a no-brainer -- get almost all of Ronnie Hawkins' rock & roll recordings in one place. The packaging here is good, thoughtful, and legitimate, but could also be a little misleading to those who are buying this expecting to hear a lot of early work by the musicians who later became the Band -- Levon Helm was aboard on drums from the Hawks' first official recordings, but the remainder didn't begin arriving on the scene until almost two years later; they're only on hand more than one or two at a time for less than half of what's here. Additionally, taken on its own terms, this is about as solid a rock & roll collection by a single white artist from this period as you're going to find -- in 1959-1960, as Elvis Presley, et al. 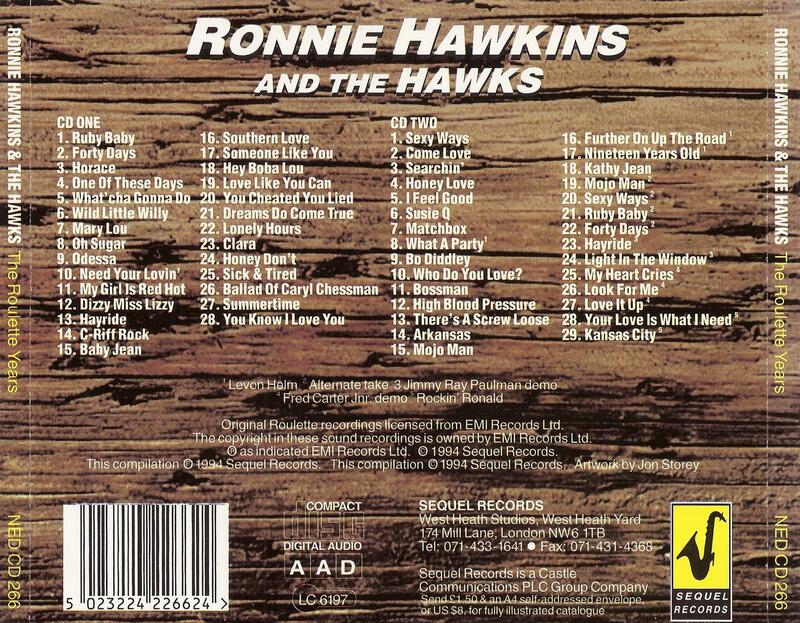 were generally softening their sounds, Ronnie Hawkins was staying a true rock & roller. The alternate takes and demos featured here are about as worthwhile as any of Hawkins' hits, and the quality of everything about this set makes it practically scream to be purchased -- the detailed notes, the complete sessionography, the bright, clean yet raunchy sound on the masters. A straight, enjoyable (and probably revelatory to some) rock & roll document, Sequel deserves an award for this release -- only Bear Family does it better, and this is a lot cheaper than one of their double CDs.